Gas Stove Gazco Gas Vogue Midi Midline Conventional Flue, High Efficiency (75%) Contemporary Gas Stove. Home > Stoves>Gas Stoves>Gas Stoves For Chimneys>Gas Stove Gazco Gas Vogue Midi Midline Conventional Flue, High Efficiency (75%) Contemporary Gas Stove. Designed with the very latest gas fire technology, these cutting edge stoves provide an ample 4.4kW of heat at 80% efficiency. 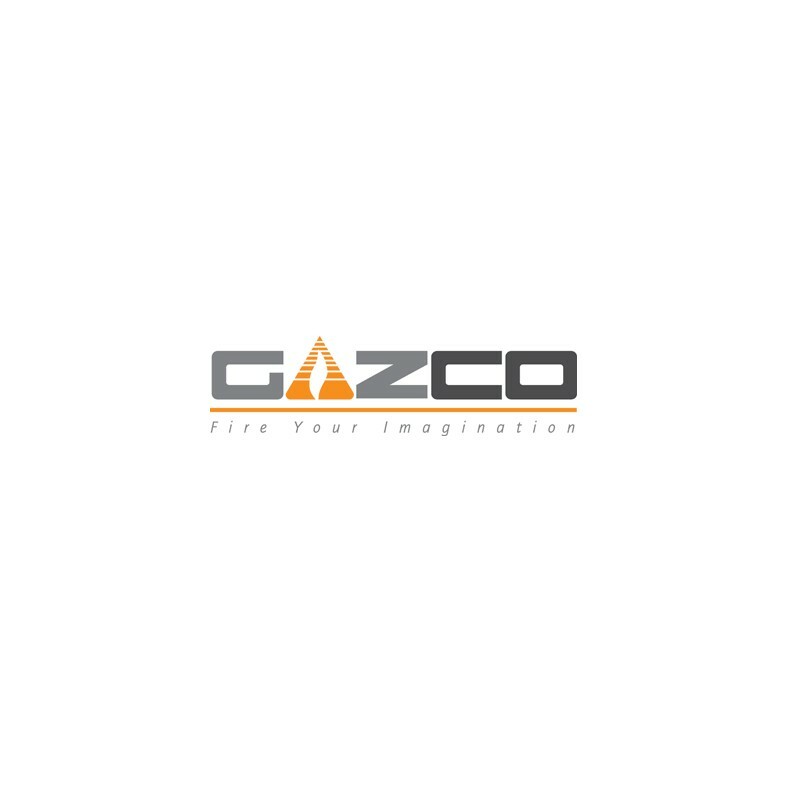 Gazco Gas Vogue Midi Midline, High Efficiency (75%) Contemporary Gas Stove.. Creating breathtaking flame visuals, Vogue Gas stoves feature a highly realistic log bed and a polished black glass lining that provides a stunning, multi-sided reflection of the flames. Designed with the very latest gas fire technology, these cutting edge stoves provide an ample 4.4kW of heat at 80% efficiency. 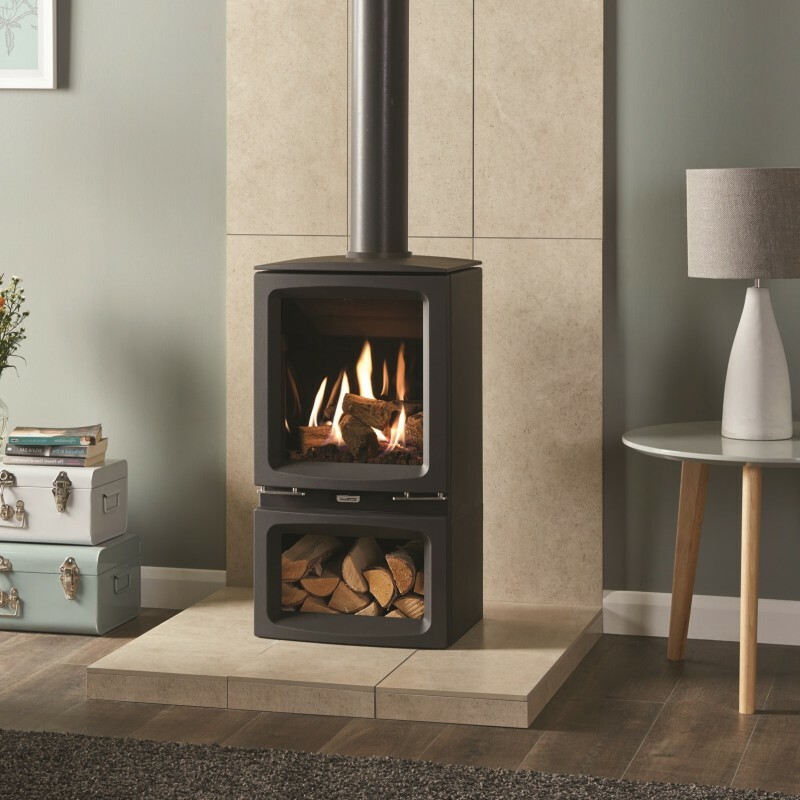 For greater convenience, these stylish stoves can be upgraded with a programmable thermostatic handset which allows you to pre-set the stove to provide heat at certain times or temperatures. Black Glass with Polished Stainless Steel Inserts.